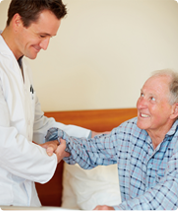 A-1 Home Care understands the stress and worry you may have if a loved one suffers from Parkinson’s Disease. It can be overwhelming to want to know how your loved one is doing while you’re at work or handling other duties in the hustle and bustle of daily life. At A-1 Home Care, we can provide experienced and compassionate Parkinson’s caregivers, nurse aides, or companions for 24 hour live-in care or hourly part-time care. 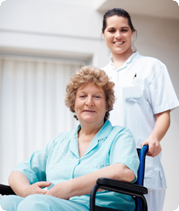 Our homecare professionals can assist with tasks that may be difficult because of Parkinson’s such as transportation, changing clothes, getting in and out of bed, bathing or showering, going to the bathroom, personal hygiene and grooming, easing cramps and tremors, and anything else regarding your loved one’s personal care and companionship. A-1 Home Care serves the communities of Costa Mesa, Newport Beach, Corona Del Mar, Fountain Valley, Huntington Beach, Irvine, Seal Beach, Los Alamitos, Garden Grove, and other cities in Orange County and Los Angeles County. Our non-medical homecare agency has been in business since 1991 with an A+ Rating from the Better Business Bureau and Shield Accreditation. We specialize in broad range of Elder Care services including Alzheimer’s Care, Hospice Care, After Surgery Care, and more. If your loved one is a carrier of long term insurance, we accept Penn Treaty, John Hancock, Bankers’ Life & Casualty, Veteran Administration, CALPERS, and MetLife Insurance. 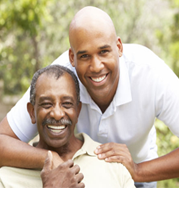 To hire a compassionate Parkinson’s Caregiver in your area today, CALL us at 949-650-3800.